The water and wastewater industries are facing many challenges today. Utilities have to do more with less. We are on the verge of great transformation. While it may be premature to claim water management’s arrival in the digital age, we can herald the eventuality, chart the progress, and examine potential implications. The Malaysia International Water Convention (MIWC) 2019 from 1-3 October 2019 at the Malaysia International Trade Exhibition Centre (MITEC) is organized by The Malaysian Water Association (MWA). MIWC2019 will focus on Transformation of Water Utilities and Water 4.0 in the new era of Sustainable Development Goals (SDG) which is well underway with 17 aspirational goals, 169 targets and 232 indicators seeking nothing less than global transformation. It will help the water utilities to discover cutting edge technologies and learn how digital disruption affect Water Utilities value chain, and the best practices for transforming water utilities. It will enable participants and exhibitors to stay ahead of the curve and to get the vibe of the current and future market trends and how we can take advantage of them. MIWC’s focus on Water 4.0 will bring together scientists, engineers, governmental representatives, international aid agencies, technology innovators and utility companies from around the world to share the most relevant water-related topics and issues for discussion, and presents the latest products, innovations and solutions and technologies for the water industry. ASIAWATER Expo & Forum is the longest running and leading trade event for the water and waste water industry. It has continued to prove to be a one stop regional hub and recognised by the most respected industry professionals. The event offers a stream of business opportunities while at the same time developing Asia’s water infrastructure. It is a focus trade-only business event providing full coverage of the international water, waste water treatment & Purification technology. Visit AsiaWater 2018 to gain access to a growing emerging market with diverse background from government and private sector. 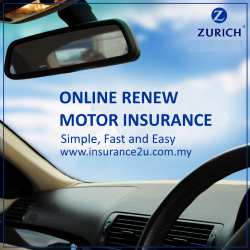 Get the latest insight and learn from the experts. Session which will gather speakers, expects and industry player to speak on industrial water and waste water treatment and to help participants address business concerns and find solutions to challenges they face. With expected over 800 exhibitors from 40 countries, all taking place under one roof. 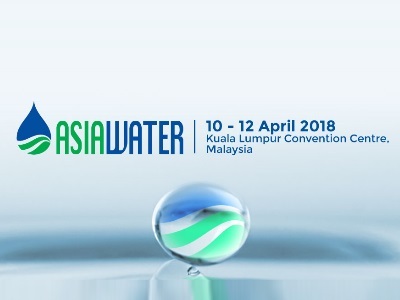 AsiaWater is regarded as the region’s best events for current ASEAN water needs, including water supply, water resources, sanitation and purification. This is an unparalleled opportunity for companies to display their latest technologies and solutions to a top level audience. 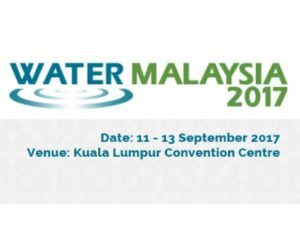 Water Malaysia (WM) 2017 International Exhibition & Conference is the biennial event that encompasses all across the entire water cycle. Water resource management, irrigation and drainage management, water supply, wastewater management, non-revenue water (NRW) management, and rainwater harvesting technologies are some of the areas covered in the event. This round, WM 2017 will take place concurrently with the 7th International Water Association (IWA)– Asia Pacific Regional Group (ASPIRE) Conference & Exhibition, which is one of the biggest water events in the Asia Pacific region. In addition, Water Loss Asia 2017, the region’s only specialized event on Non Revenue Water, will also take place concurrently underlining the importance of water loss management in Asia today. Take this opportunity to join us for this confluence of trade events featuring cutting-edge exhibitions, conference and workshops, and discover invaluable networking opportunities for water professionals seeking to tap into opportunities in the Asia Pacific water sector. Aimed at improving water related processes across the whole water cycle, the WM 2017 exhibition will be the platform for public and private sectors in the water industry to exhibit new products, innovations, latest equipment and cutting edge technologies. Present your products and services to thousands of potential buyers in the entire regional market. Develop new marketing networks and improve the existing ones. Meet industry leaders and professionals. Increase brand awareness and enhance your company’s image in the industry. Source for agents and distributors in uncovered territories. Explore business and investment opportunities. Water Malaysia continues to bring you NEW customers from the region and beyond. ASIAWATER is the region’s largest water industry event, designed to help industry players to meet global challenges and opportunities.The event provides a wide variety of high quality conferences, for business leaders who are seeking for real and hard – won advice on how to advance to next level of growth in this vital and important industry. Take part in this record-breaking event as ASIAWATER 2016 is set to host and welcome 14 000 industry players and professionals, with over 750 exhibitors! The ninth edition of ASIAWATER Expo & Forum which will take place from 6 – 8 April is anticipated to host more than 780 exhibitors from 48 countries and will have 11 major international pavilions including from mainland China, Taiwan, Singapore, Korea, The United States of America, Austria, Germany, India and many more. The event is regarded as the region’s best events for current ASEAN water needs, including water supply, water resources, sanitation and purification. This is an unparalleled opportunity for companies to display their latest technologies and solutions to a top level audience. 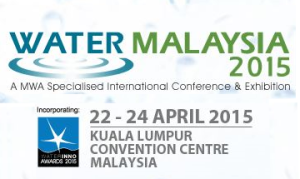 Water Malaysia (WM) 2015 International Exhibition & Conference is the biennial event that encompasses all across the entire water cycle. Water resource management, irrigation and drainage management, water supply, wastewater management, non-revenue water (NRW) management, and rainwater harvesting technologies are some of the areas covered in the event. Water Loss Asia (WLA) 2015 will be held concurrently. To address the severe water stress faced by the world, WM 2015 will also be promoting sustainability with the inclusion of Environment Asia 2015 as the concurrent event. Held concurrently, Environment Asia 2015 furthers WM2015’s goal of searching for a sustainable answer for our irreplaceable source of life – water. The event will be a gathering of public and private enterprises to share their knowledge, expertise and to showcase their environmentally friendly and sustainable solutions to our water cycle challenges.